Hello loves! How was your long weekend? How was Mother's Day as well? To answer those questions myself, I had a great Mother's Day experience last weekend. We went to Kedon Residences in Pansol, Laguna (really nice place, will blog about it soon) to swim together with hubby's family/friends where we also celebrated Mother's Day. Early in the morning, I received a surprise Mother's Day card made by my elder son. He's the sweetest! I simply love being a MOM! I promise, once I get a hold of the video, I will post it here. For now, I wish I could see the full-length commercial myself soon. Til' then! Goodnight loves! Have a great week ahead! I can't wait to see the full lenght of your TV commercial, too. I'm sure it's a nice one. Wow, showbiz! hehe I'll be more attentive to Joy's TVC from now on. Thank you @Momaye ! :) Huuggs! Happy Mother's Day! I had a card for mother's day made by my children - I was delighted to have it for the first time. Now that I know I'll watch TV a bit over the weekend. Sana matyempuhan ko. Baka it's on youtube? I haven't had so much time watching TV the past months, but I will really try to watch it! This sideline must be so interesting!!! BTW, you are photogenic! You have a lot of TVCs na! :) I hope you could post a vid soon. Philippine tv ads kasi are not shown here. I never seen this commercial before, you're so lucky! :) indeed good mother's day celebration:) Congrats! 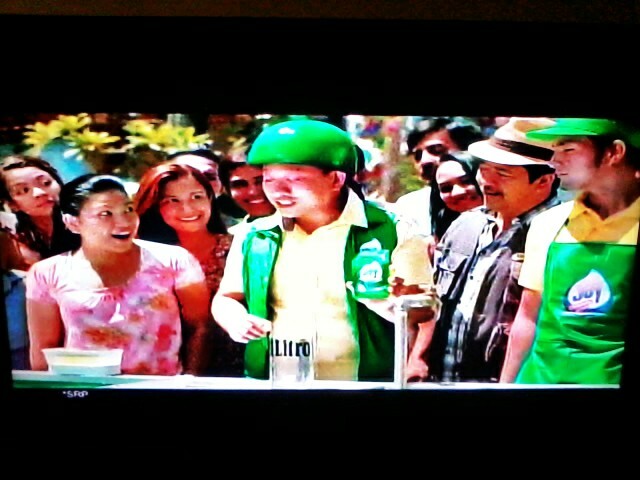 Congrads on being in the commercial. Keep on inspiring us, sis! I love the fact that I get to see some of the bloggers I read and love on the tube as well. My kids get surprised and ask me, if I know them. I just say I know them as bloggers that I like. Then, my kids are in awe. i will wait for it, haha i want to see it too on the TV. you're the coolest mom! Same here, always Cartoon Network sis @Aileen_A I rarely watch TV. :) I've seen this 2x pa lang. waah! Yup true @Van Cruz-Gabaza! Me nga I haven't seen it recently! 2x pa lang. It's not there yet @Jellybelly eh! Haha kuracha as in babaeng walang pahinga?